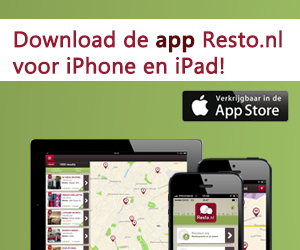 Resto.nl is designed for people who search for the right restaurant or dining information in Netherlands. You'll find a complete overview of all Dutch restaurants, with the best culinary hot spots in your local area. Fast and simply! Do you fancy a dinner with your family or do you want to schedule an important business dinner? Looking for the best restaurants to take your friends or children? On Resto.nl, you'll find a complete listing of all restaurants in your area. You prefer Italian, Moroccan or Japanese cuisine? Are you looking for a nice gourmet restaurant with an extensive wine list? You want to book a caterer for a wedding or a birthday? Read all reviews from our surfers before you convince yourself by looking at the menu of the restaurant.